Blessed Being, you are a powerful flow of Life Force on Earth. It is within your realm of experience to shape your life into a form of creative enjoyment from your perspective. You may not enjoy every moment, but every experience is worthwhile for your expansion. This path of openness also entails strength. The two are not exclusive. You have natural survival mechanisms that protect your physical body and your emotional/mental complex that teach you healthy openness. You naturally evolve through experience to better understand the self, others, and Life. This understanding, your emotional/mental bridge, creates a connection to your spiritual and connective nature of Life. As you understand the spiritual nature of your life, you understand the perfection in all experience. You understand the power of forgiveness, loving others, and caring for the future. These are natural to you. The challenge is to let go of over-controlling perceived negative experiences. This is a fear response, and a fine line of balance. What patience you must have to trust the flow of your life unfolding in a new direction when everything around you looks the same, or perhaps even worse, in a moment. It is a balance of appropriate interaction and appropriate personal choice. 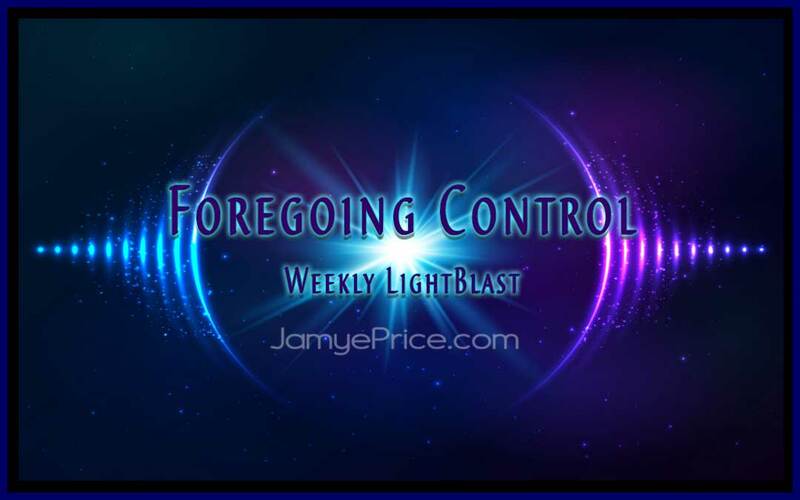 Foregoing Control, in this experience, is a balance point of stepping back to observe, creating a new trajectory within your bridge of connection (your mental/emotional bridge), and listening to the flow of Life. It is not as easy to hold your integrity and let go of over-controlling as you observe control structures abuse power. What is a healthy balance of control? Protect and nurture your inner world first and foremost. Any belief, suggestion, fact, or potential should be assessed through your heart and mind prior to accepting it within. Remain flexible with an inner strength. 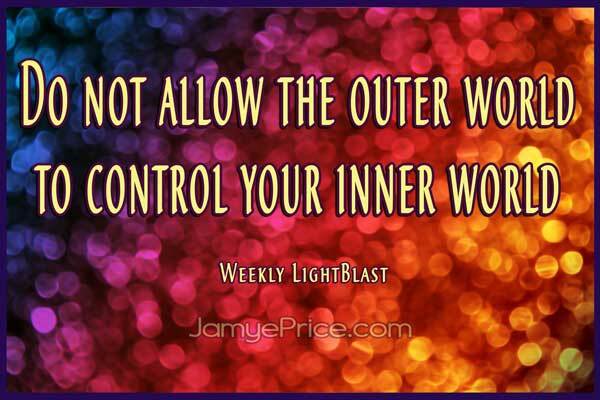 Do not allow the outer world to control your inner world. As you release controlling the outer world, you balance your inner world into a strength and flexibility, you are opening to the flow of Love—the natural pull that creates Life. In this way you merge the strength of the past, the flexibility of the present, and the beautiful potential of the future into your inner sanctum. You hold All Time within, anchoring a greater capacity to actualize your multidimensional nature. The future responds. As we sit to Blast Foregoing Control, we are going inward to connect with our powerful Love and maintaining a healthy environment of potential within. We are activating our quantum focus, the ability to create nuclear change within the invisible structures of Life. We are finding the hidden Truth, our own potential; as we reclaim our fears from the corrupt and lead with the universal laws of Life. We are uncontrollable as we remember our glory, and nurture its power within. We are breathing new Life onto Earth, with a fierce freedom within that will not be contained. Blast on!